In order to be able to progress more in tango, your body needs to develop to the dance: try jazz, ballet, yoga, etc. 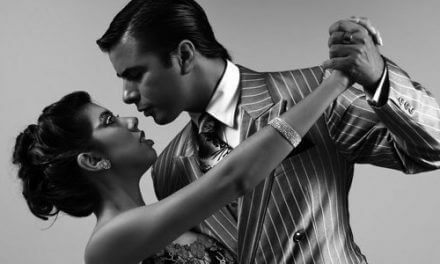 If you lack time for all these (and even if you don’t) try tango technique. Use well established exercises that will help you move forward. Are you bored by your already existing practice sessions? Are your looking for more exciting things to try? This is your chance to learn from Nany Peralta! Check out these videos and get inspired! Nany Peralta organizes the popular Fruto Dulce milonga in Buenos Aires. His brother, Fabian Peralta is world champion in salon tango. Nany is a great dancer, he gives lessons abroad. He is not afraid to try innovative new tools to improve his technique. Incredible what he comes up with! Thank you Nany! Hola! Llevo unos meses practicando tango pero necesito por favor ejercicios para practicar solo en casa. Soy varón. Y necesito ver video sobre el desplazamiento en la pista de baile. Happy New Year Argentine Tango!